Teaching: Challenges and Dilemmas actively works with readers to help them develop the competencies needed to become outstanding teachers - communication, understanding pedagogy, assessment of learning and curriculum, lesson planning, classroom management, reflective practice and comprehending learner diversity. 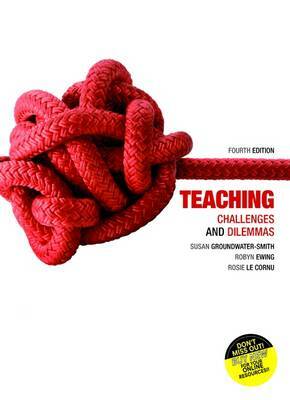 Grounded in strong theoretical foundations, it highlights the complexities of teaching and learning and the daily challenges that teachers must recognise and unravel during the course of their work. This new edition builds upon current pedagogical theories concerning learning and the design and assessment of learning outcomes. Fully updated chapters reflect the latest policies across the states and commonwealth, especially the trend to federalism and its implications in terms of curriculum, assessment and the establishment of national standards. Ethical practice is brought to the forefront, and a new chapter discusses working in partnership with parents, caregivers and the broader community. Engaging case studies and rich examples emphasise the importance of context and assist readers to connect theory to the classroom as they explore the issues.